1. Which Optional Activities you want to attend (some are at an additional fee and some are not). You can always come back and add to your initial Registration. 2. Payment Methods – We accept Visa, MasterCard and American Express. 3. Federal Government Agencies waiting for approval to attend should use payment option “Government Approved by Planner” and can provide payment once approved. 4. Federal Government registration includes all optional activities. 5. Register by the Early Bird deadline of January 23 and SAVE! ✓ Plenaries include a Keynote Address; update on WOTUS and State Assumptions; Recent Policies and Anticipated Effects; Status and Trends; and Policy Roundtable Discussion with the Regulators. 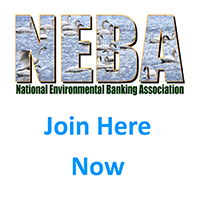 NEBA MEMBERS: Save $200 (one $200 voucher per Regular Level). Click for more information. Speakers, Sponsors, Exhibitors! Follow instructions provided to you for discounted or comp rate. Refund Policy/Cancellation/Substitutions: Registration substitutions may be made at any time through the link in the registrants confirmation email. Cancellations made by March 31, 2019 will receive an 80% refund. Should you not be able to find a substitute and need to cancel a paid registration after March 31, no refunds are provided but you will still benefit from access to the online power points, slides, and conference app w/ access to attendees.